Slightly matt, changing to aubergine. Wonderful for brunettes. Eyeliners are produced with natural bio ingredients and Ghee from certified Demeter cultivation. Also formulated for use on the inner lid. 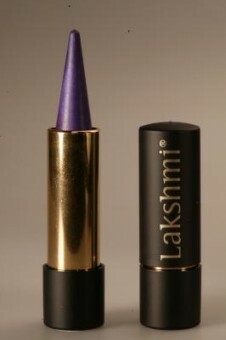 The sensitive kajal contains no camfor. the indication cold means the pencils provide a cooling effect for the eyes which provides added comfort. The eyeliners contains more than 50% of the ingredients form Demeter raw materials and contains no added coloring additatives. Additional Ingredients: Almond and coconut oil from controlled organic cultivation kbA. Rizinut oil, Wool fat, Carnauba wax, Eye trost, and Aloe Vera. The eyeliners are very easy to apply and cooling for the eyes.